Posted January 31, 2019 by The Rapid & filed under News. — The David D. Hunting YMCA, 475 Lake Michigan Dr. NW, Grand Rapids, Mich.
— Families visiting the downtown YMCA location can enter through the main entrance and follow the signage to the community room to receive your meal. 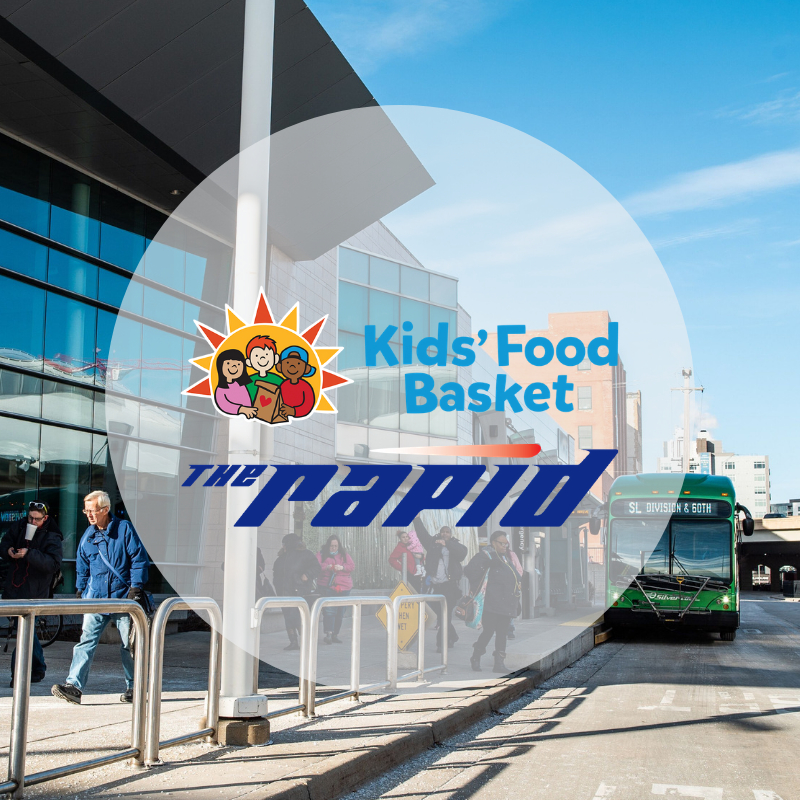 — The Rapid Central Station, 250 Grandville Ave SW, Grand Rapids, Mich.
— Seymour Christian Reformed Church, 840 Alger St SE, Grand Rapids, Mich.
— Kids’ Food Basket, 2055 Oak Industrial Drive, Suite C, Grand Rapids, Mich.